Stunning eyes have the effect of enhancing the whole face… after all, the eyes are the window to the soul! For impeccable make-up, getting the eyes right is essential. It also gives you an endless choice of colours, tones, shades and effects. It’s up to you whether to go for on-trend, graphic or natural-looking make-up: what is important is the radiance and intensity of your eyes! For the evening, the professional make-up artists at Make-up Atelier Paris recommend a more dramatic look: it’s an opportunity to express your personality through original eye make-up and experiment with glitter and pearlescent shades! Smoky eyes, doe eyes, eye contouring… eye make-up techniques have always inspired fashion designers. But for impeccable make-up that gives depth to the eyes, you need to respect the basics of enhancing the facial features. Firstly, apply your foundation carefully to even out the skin tone and cover up any imperfections. Erase the signs of fatigue using a suitable concealer and tame your eyebrows to frame your face perfectly. Your face is now ready for the application of eye make-up. Fashion trends change depending on the season: sombré, copper and gold tone eyeshadows add a touch of sultry glamour during the autumn and winter, while fresh, vivid colours create a more vibrant look during the spring and summer. Make-up artists also recommend matching the colour of your eyeshadow to the colour of your iris. Brown eyes are the easiest to work with: they go with almost any shade of eyeshadow, particularly beige, copper, khaki, orange and dark blue tones. Green eyes are complemented with mauve, prune and violet tones. And for blue eyes, you can choose from yellow, brown, taupe and even grey eyeshadows. Mascara and eyeliner are essential make-up accessories for creating a doe-eyed look. They help to enhance the eyes and increase their intensity. To accentuate the effect of mascara, you can apply several layers. 3D Mascara created by Make-up Atelier Paris will give you exceptional volume and is waterproof. As for eyeliner, it helps to lengthen your eyes, creating an irresistible glamour effect. Whether classic, graphic or on-trend, the line created with the eyeliner must never be detached from the base of the eyelashes, and must not go right into to inner corner of the eye. Eyeliner should always be applied before eyeshadow. Pearl, glitter and false eye lashes: create dramatic eyes for an evening out! Evening make-up or theatrical make-up allows for more creativity than day make-up. Theatrical make-up professionals and make-up artists know all the right accessories for enhancing the eyes, highlighting the face and creating a graphic make-up effect. With Make-up Atelier Paris you can choose from between individual false eyelashes, lower false eyelashes, feathered false eyelashes or theatrical false eyelashes. To add a touch of glamour, our pearlescent powder, glitter and ultra-pearl powder products are available in seven colours that will make you sparkle! Apply with finger tip a very thin coat of Shadow Primer on eyelids. Blend the eye shadows or pearl powders with brush or foam applicator. Shadow primers will act as color booster and provide a long lasting eye make-up. 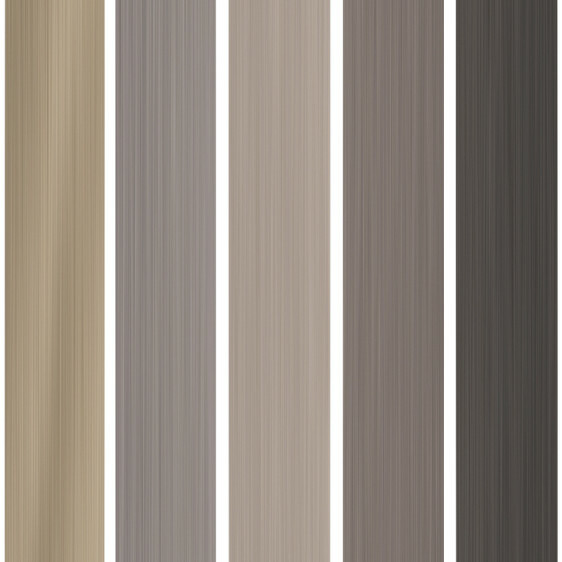 Available in 3 tones of complexion. Remove with waterproof eye remover lotion. Long-lasting liquid liner made of acrylic resins on an aqueous base. Fast drying, ideal formula for the realization of intense plot and non transfer. The fine, soft felt tip allows precise, smudge-free tracing. Formula water resistant, dermatologically tested. 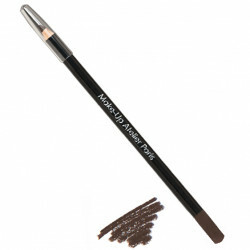 Palette Cake Eyeliner dry very pigmented. dual use: Apply the Cake Eyeliner with a wet brush for an intense color effect. Apply the Cake Eyeliner with a dry brush for a smoky effect. Formulated with wax and silicone resin, the Browliner Gel ensures an exceptionally strong makeup by forming a flexible and ultra-resistant film on the skin. Resists water and friction. 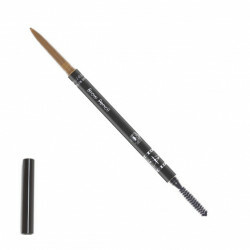 Eyebrow pencil satin waterproof formula, long lasting. Soft texture, easy to degrade. 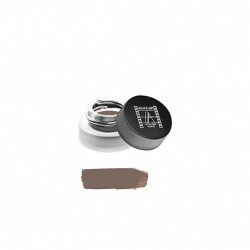 Dry Cake Eyeliner highly pigmented. Dual use: Apply the Cake Eyeliner with a wet brush for an intense color effect. Apply the Cake Eyeliner with a dry brush for a smoky effect. Palette of 12 Eyeshadows formulated with talcs and pigments treated silicone, eye shadows provide long-lasting makeup, excellent resistance to water, tears and perspiration. Intense colors, very pigmented. Cake Eyeliner dry very pigmented. dual use: Apply the Cake Eyeliner with a wet brush for an intense color effect. Apply the Cake Eyeliner with a dry brush for a smoky effect. Dry eyeshadow very pigmented, high resistance. Eye shadow made from talc and silicone-treated pigments. Extra fine sparkling glitter. Apply on the eyelids above a light touch of Magic Primer to make the eyeshadows sparkle.